Norristown, PA - Theatre Horizon has kicked off its 2019 season with a riveting performance of Samuel D. Hunter’s The Few. This intimate and sensitive story is told over the course of ninety minutes and though its cast only consists of three characters, Theatre Horizon&apos;s consistently amazing cast members manage to shine in their individual roles and simultaneously elevate each other through explosive dialogue and raw displays of emotion. Set in the days leading up to Y2K, the story follows the lives of three individuals running a newspaper, The Few , for America&apos;s interstate truckers. The Few operates out of a trailer park in rural Idaho and has been struggling to keep its doors open for the last few years. Bryan, who founded The Few, is back in town after abruptly dropping everything and hitting the open road nearly four years ago. Played by Steven Rishard, Bryan is a man hardened by his history. A former trucker himself, Bryan and his partner QZ founded The Few as a sort of haven for truckers. After the death of their lifelong friend brings Bryan back home to the office of The Few, tensions arise and the truth behind one fateful night changes everyone&apos;s lives forever. Rishard certainly knows how to portray the complicated, tortured soul. In his role as Bryan, Rishard perfectly portrays a wide range of raw emotions and knows exactly when to flip the switch. His ability to tap into multiple emotions at once and put them on display in a way that feels almost too relatable allows Rishard to thrive in this role. Additionally, the chemistry between Bryan and his partner QZ, played by Suli Holum, is explosive, wild, and an absolute thrill to watch. While Bryan was MIA, QZ was forced to try and keep the paper alive by any means necessary. Over the years, QZ found a way to keep the paper going by turning it into a missed connections matchmaking service. Though it’s not the vision either of them had for The Few, QZ is rightfully proud of the fact that she’s kept the paper alive without Bryan and she’s not afraid to tell him so. Holum perfectly embodies the fiery and proud natu re of QZ. Her portrayal of the character is layered and complex. 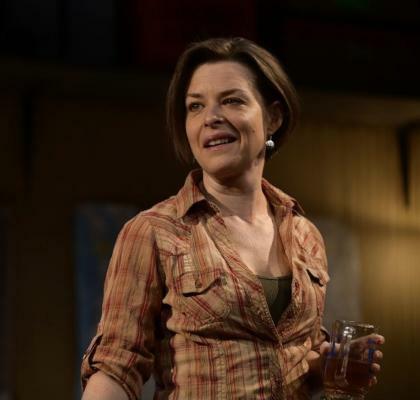 By putting the pain and hurt brought on by Bryan’s departure on full display, Holum invites the audience to experience the story through her brilliant performance, and while audiences may feel for Bryan, it’s QZ that many root for. While Bryan and QZ hash it out the majority of the time, there’s one more person responsible for keeping the paper alive. Matthew, an equally anxious and passionate young man with a heart of gold took over for Bryan after his disappearance. For the last few years, Matthew has poured his heart and soul into keeping the paper afloat after the death of his uncle, Jim, who helped start The Few alongside Bryan and QZ. Though Matthew is only 19, he’s had his fair share of hardships. He was thrown out of his home after he was caught kissing a boy at school and taken in by his late uncle. After Jim’s passing and Bryan’s abrupt departure, Matthew stepped up and essentially took both of their places, both as a writer and a source of passion and pride within the paper. His relationship with Bryan is tumultuous and emotionally challenging; as the two spend more time with one another, they force each other to face the truth about The Few, the realities of trucking, and themselves. PJ Barth plays Matthew almost as if he was born to. Barth knows how to play the role of the bright-eyed, jittery youngster who wears his heart on his sleeve. His portrayal of Matthew is as intimate as the show itself. We slowly learn that Matthew’s overly cautious demeanor masks a deep undying passion and courageous heart. Barth puts his heart and soul into this role in much the same way that his character puts his heart into The Few itself. He makes you laugh one minute and cry the next, all in the same scene nonetheless. It’s truly a magical experience watching such a talented performer share his gift with the audience. 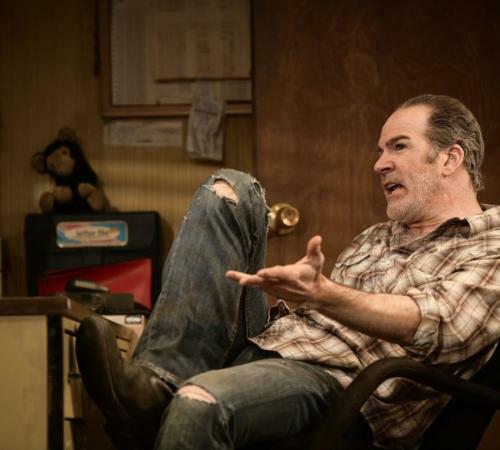 The Few is an intimate and emotionally charged show right from its opening scene. It’s essentially a story of heart and how easy it is for hearts to break, but the hope that with time, understanding, and a whole lot of effort, they can be mended. The Few is running now through Sun. April 7th.